The Riverside Residence is located just behind the clinic campus and are meant for ambulant patients who would like to avail of the clinic facilities in a more relaxed atmosphere. They are ideal for patients who are able to take care of themselves and do not require supervision or constant nursing care. There is a fabulous view of the Pampa river which flows past this building. As patients admitted in the clinic improve, and do not need as much care, they may opt to move from the clinic, into the Riverside Residence while they recover further, making the clinic rooms available for those patients in need of more care. It can act as a half way house where patients can make the transition from their illness, back to full health and a normal life. You start by taking greater care of yourself and your own needs while still having assistance from the clinic as required. Regular charges or a Pre-paid package rate of Rs 15000 per day is available to patients staying in the riverside Residence. ​The package includes individual accommodation, full therapeutic diet prescribed at the clinic, basic nursing, air conditioning, internet access, laundry and up to 45 minutes of treatment on working days and includes access to all clinic facilities and activities. Attendants are charged Rs 5500 per day/head for food, accommodation & laundry charges. Refundable deposit is payable on admission of Rs 100,000 towards accommodation and treatment costs. To book in advance, a non refundable deposit of Rs 100,000 is payable, which will be adjusted towards your treatment costs. 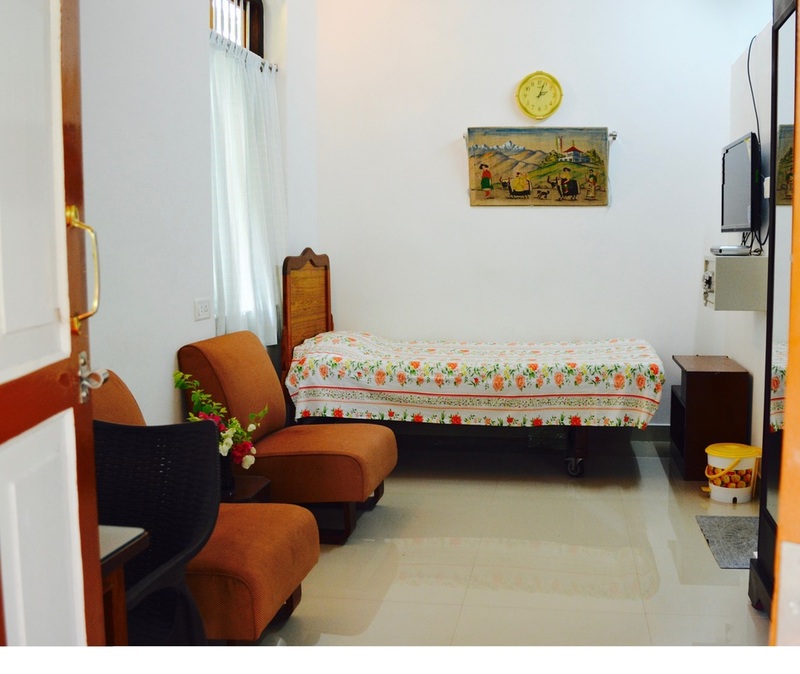 Alaknanda, Our Single room at the riverside residence. 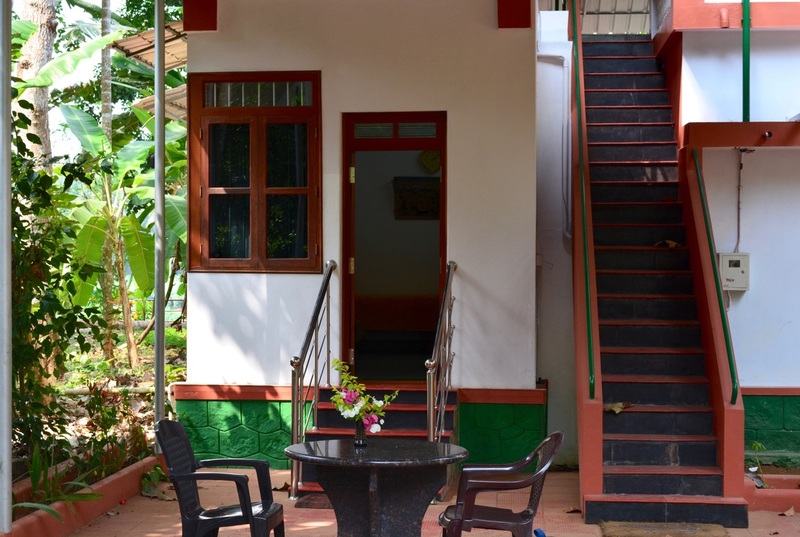 Alaknanda is an A/C single room with a large porch in front of it where you can sit and read, paint or just snooze and listen to the chirping of the birds. Sit outside your room & appreciate the breeze,and the sounds of nature. 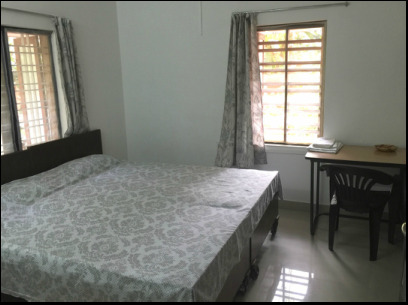 Periyar : Twin bed bed configuration. Pamba : Our riverside room with a fabulous view of the river Pamba. Pamba. 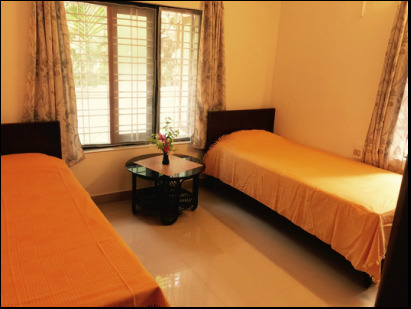 River side A/C single room with a with a gorgeous view of the Pamba river. The Dining and sitting area is outside the room overlooking the Pamba river. 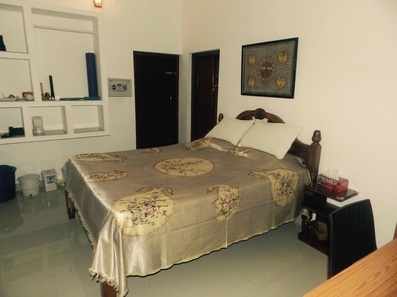 Periyar is our Air conditioned suite in the riverside residence. It accommodates between 2-3 people and has a separate dining area. Ideal for those looking for more space & comfort. The view of the river Pamba from terrace on top of the Riverside residence.